This collection of selected resources offers current, high-quality information about dental caries in early childhood. Use the tools below for further searching, or contact us for personalized assistance. Share these facts to help improve the oral health of children and their families. Phipps KR, Ricks TL, Manz MC, Blahut P. 2012. Prevalence and severity of dental caries among American Indian and Alaska Native preschool children. Journal of Public Health Dentistry 72(3):208–215. Chaffee BW, Gansky SA, Weintraub JA, Featherstone JD, Ramos-Gomez FJ. 2014. Maternal oral bacterial levels predict early childhood caries development. Journal of Dental Research 93(3):238–244. Garcia R, Borrelli B, Dhar V, Douglass J, Gomez FR, Hieftje K, Horowitz A, Li Y, Ng MW, Twetman S, Tinanoff N. 2015. Progress in early childhood caries and opportunities in research, policy, and clinical management. Pediatric Dentistry 37(3):294-299. Divaris K, Vann WF, Baker AD, Lee JY. 2012. Examining the accuracy of caregivers’ assessments of young children's oral health status. Journal of the American Dental Association 143(11):1237–1247. Nagarkar SR, Kumar JV, Moss ME. 2012. Early childhood caries-related visits to emergency departments and ambulatory surgery facilities and associated charges in New York state. Journal of the American Dental Association 143(1):59–65. Nowak AJ, Casamassimo PS, Scott J, Moulton R. 2014. Do early dental visits reduce treatment and treatment costs for children? Pediatric Dentistry 36(7):489–93. Freudenthal JJ, Bowen DM. 2010. Motivational interviewing to decrease parental risk-related behaviors for early childhood caries. Journal of Dental Hygiene 84(1):29–34. Available at no charge; also available from the website. This series of handouts for pregnant women and parents of infants and young children provides simple tips on oral health issues. Topics include taking care of oral health during pregnancy, managing teething pain, taking care of infants’ oral health, brushing children’s teeth, toothbrushing positions and tips for brushing the teeth of children with special health care needs, choosing healthy drinks, giving healthy snacks, getting fluoride, preventing oral injuries, giving first aid for oral injuries, and finding and visiting a dental clinic. The series is available in English and Spanish. This report describes the prevalence of dental caries and dental sealants in children and adolescents by age, race, and Hispanic origin in the United States. Topics include disparities for dental caries and dental sealant prevalence in children and adolescents in 2011–2012. Definitions, the data source, and a discussion of methods are included. This report provides information about the importance of early preventive dental visits. Topics include the consequences of waiting to receive dental care, the rationale for early preventive dental visits in medicine, the cost-effectiveness of early dental intervention, and the effectiveness of early dental visits. Statistical information about average costs of dental care and for average related costs of treatment in the hospital/operating room for children ages 1–5 are provided. This brief presents findings from a national survey to assess the oral health status of American Indian and Alaska Native (AI/AN) children ages 1–5. Contents include information on the prevalence of tooth decay in the primary and permanent teeth of AI/AN children ages 1–5 in 2014 at both the national and Indian Health Service Area level, as well as trends in the oral health of this population since 2010. The brief also describes the prevalence of dental sealants on a primary molar tooth among this population. This issue brief for state oral health program managers presents strategies for preventing and managing early childhood caries in children enrolled in Medicaid and the Children's Health Insurance Program (CHIP). The brief also provides examples of state efforts to implement prevention, risk-assessment, care-plan, and quality-improvement strategies in Medicaid and CHIP. 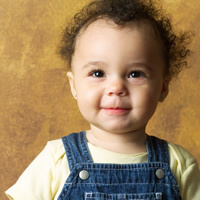 These resources summarize the U.S. Preventive Services Task Force recommendations and evidence for preventing dental caries in infants and children from birth through age 5. Contents include a recommendation statement, an evidence report, a research plan, a clinical summary, a consumer fact sheet, and an evidence synthesis. Topics include prescribing fluoride supplements for infants and children starting at age 6 months whose water supply is deficient in fluoride and applying fluoride varnish to infants’ and children’s teeth starting upon eruption of the first primary tooth.